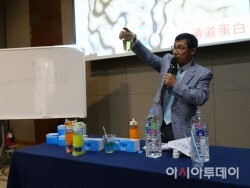 "Hydrogen water is healthful…Purified one is safe"
Dr. Lee Kyu-jae, Head of Hydrogen Antioxidant Healing Center and Presidentof The Korean Water Society, delivers a talk in the seminar for Chinese testergro.. 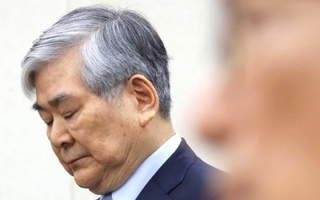 Premium mineral water 'Haru 2.0'Taean (Chungnam) AsiaToday reporter Park Sung-eun - While drinking healthy water has become a growing trend, AsiaToday has..
Dr. Lee Kyu-jae, president at The Korean Water Society and professor at Yonsei University College of MedicineTaean (Chungnam) AsiaToday reporter Park Sung-..
Samsung India has introduced its first-ever iris recognition tablet,Galaxy Tab Iris, for the first time in India./ Photographed by Ha Man-jooBy Ha Man-joo,..
Kim Ki-wan (third from the left),Managing Director at LG Electronics India, and Ravi Shankar Prasad (fourth), Communicationsand Information Technology Mini..
SHI CEO Park Dae-young attended the Congratulatory Culture’s Night of International Maritime Summit held at a hotel in Mumbai, India, on April 14./ Photogr..
By Hong Soon-do, Beijing correspondent, AsiaToday - LG Electronics is attempting to kick its recent slump and ambitiously gearing up to pass Great Wall of.. 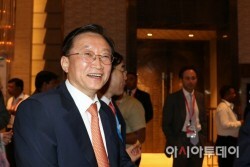 Source from FacebookBy AsiaToday reporter Kim Ye-jin - "At first I was a little excited, but then happy and joyful. 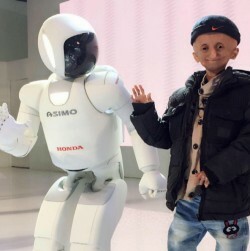 I've become friends with Asimo!" A 15-y..
(Left to Right) Kwon Moon-sik, Hyundai Motor Group Vice Chairman and itsResearch & Development head; Koo Young-ki, Hyundai Motor India ManagingDirector..
Pranav Mistry, the global vice president of research at Samsung/ Sourcefrom Yonhap News By Ha Man-joo, India correspondent, AsiaToday - Pranav Mistry,..